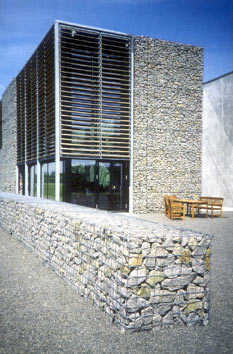 The gabions were already used by the Romans. 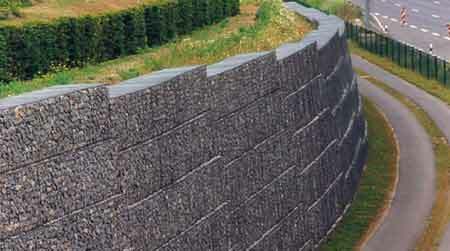 In the beginning, gabion walls were constructed with wicker and filled with stone, in order to protect against rockfall. Even today, the gabions filled with stones, stowed aligned and used to stabilize slopes. But their diversity of use has been expanded by multiplying its applications for the high durability of the material (galvanized iron wire special), by the way of quick and stable placed and shapes and specialty finishes. – Design of landscaping diversified type. 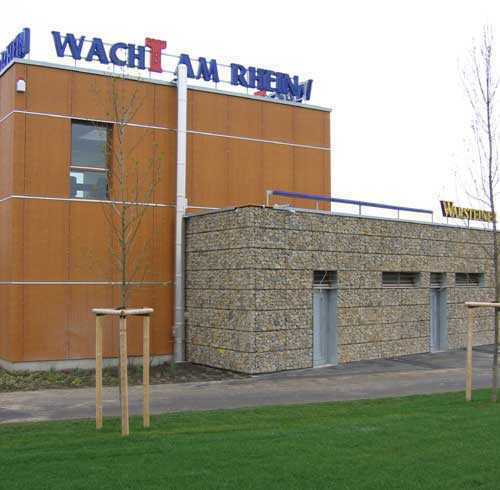 – Noise walls constructed of gabions, more noise absorptionthat, for example, glass, acrylic or polycarbonate and are,also avoiding graffiti painters. – Load-bearing walls on which rests a street, can be achieved without problems over 10 meters high, are stable anddurable. – Deep Drainage (water filtration systems) that can be constructed of stone filled gabions. – Slopes with an incline greater than 60 ° builtwire trellis, with triangular sections and layers, fillings with soil or stones. – Design of parks with links to sound barriers and can bebuilt with special shapes and filled with gabion materials of different colors and features. 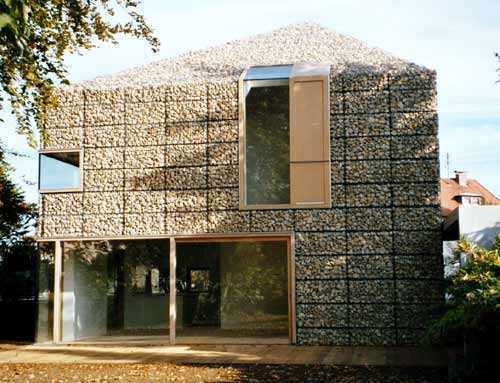 – The walls may be coated with gabions attractively thin.